Searching for a way to edit photos? Google is everywhere, including helping us organize and edit our photos. They call it Picasa3 and it’s a very popular free photo editor. Since I have a computer science degree and am a yoga teacher that teaches about connecting to all living things, I’m very happy to share some tips about using Picasa3 to help you create memes. 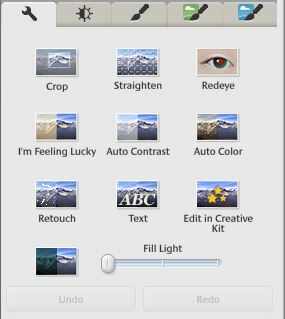 Picasa3 has a main horizontal top ribbon menu which includes a Help option for instructions. Start there, continue reading, search the web when you have a question and play. It is fun! One piece of advice I have is before you start editing a photo, make a copy of it by clicking on the photo to select it, selecting File from ribbon menu and then choosing Save a copy from the drop down menu. If you don’t do this, once you save your edits in Picasa3, your original photo on disk is changed. To add the words that will turn your photo into an official meme, double click your photo to select it. An option pane (see below) will appear to the left of your photo. Select the ABC Text option. 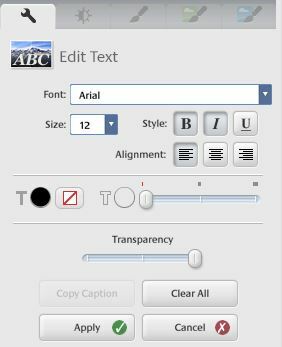 The ABC Edit Text pane (see below) will appear with text edit options. Simply start typing on your photo and select the editing options you want for your letters such as style, alignment and colors from the pane. To move the text box to a new location, click outside of the text box and then reselect it by holding down your left mouse button and dragging. Click Apply to save the text as a layer. You can edit layers until you save your file as a .jpg file, which basically flattens all layers and makes them no longer available. In addition to providing photo editing options, Picasa3 allows you to organize your photos through virtual albums. Create a virtual album by selecting the blue album icon (see below) and supplying a name. You can then drag and drop photos into your virtual album. 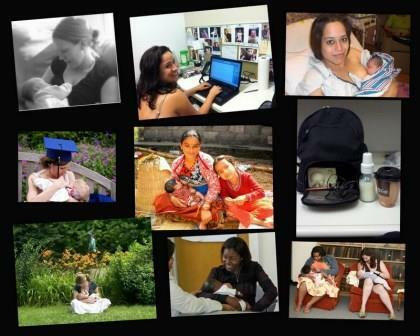 One of Picasa3’s nicest features is its ability to quickly create a collage. Basically, you drag and drop pictures into one album, select the album, and select Create from the ribbon menu followed by Picture Collage from the drop down menu. You can then select the style of collage you want from a structured arrangement to a whimsically scattered pile. Then, you can manually move the pictures around to your liking plus resize, insert, and delete until your masterpiece is complete. If you want to limit the pictures you view in Picasa3 select Tools from the menu ribbon and then Folder Manager from the drop down menu to make your file selections. Another helpful feature is the ability to snap a photo from a video. Click Take Snapshot while watching a video in Picasa3. Your photo will be stored on your computer. We also use Microsoft Word to create memes. First create a text box, type, color, and decorate with shapes and special effects. Capture your meme with the Windows’ utility program called Snipping Tool to capture the meme as a screen shot and then save it as a .jpeg file. 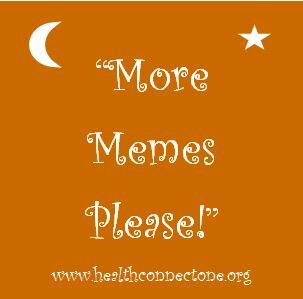 That is the method I used to create the “More Memes Please” meme that leads off this blog post. You can find the Snipping Tool by searching your programs. After you find it, you may consider right clicking the icon and pinning it to your task bar so that it is always quickly available. Our best memes have come out of collaboration: someone suggests a photo, another a witty saying, and then someone creatively produces the final image by blending the ingredients with color and special effects. Everyone has inspirations and magically everything begins to align. 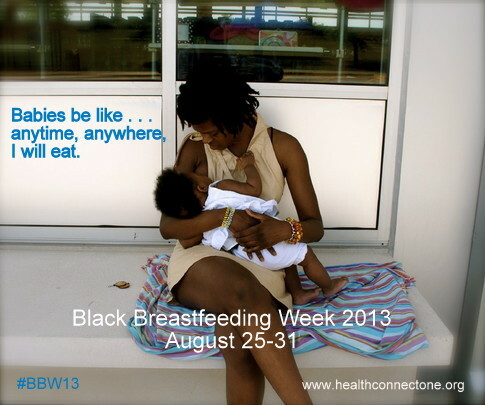 That was the case when a photo submitted by Jeanine Valrie to Health Connect One’s World Breastfeeding Week 2013 photo contest was used for a meme during Black Breastfeeding Week 2013. Over 6000 views because of teamwork! You can search for Picasa3 from any browser and download it for free. Find your hidden Picasso and start ‘meming’ to reach more people and spread your message. And when you do, include a link at the bottom of your meme so everyone can find you! Sharing my ideas and talents to benefit a great organization.